SOUTH WINDSOR, Conn. -- Police say a Connecticut police officer has died from injuries he sustained while trying to break up a bar fight in South Carolina. South Windsor Police say 41-year-old Matthew Mainieri was a 20-year veteran of the department. The Hartford Courant reports Mainieri was attempting to break up the fight when he sustained a fatal blow to the head. County sheriffs in South Carolina charged 21-year-old Kelton Jess Todd in the assault. He was taken to a local jail. It's unclear whether he's represented by an attorney who could comment. 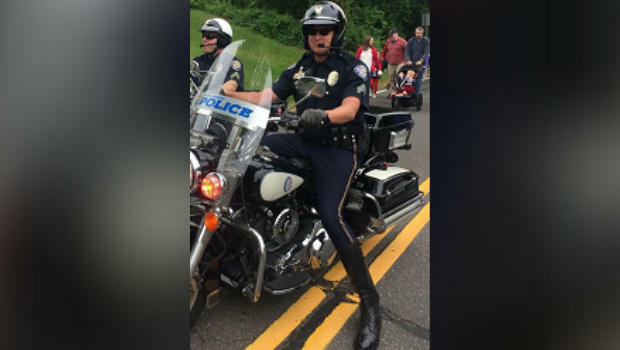 CBS affiliate WFSB-TV reports that South Windsor Deputy Chief Scott Custer said Sergeant Mainieri was a 20-year employee in the South Windsor Police Force and started his career in policing in 1998. "Sgt. Mainieri spent his off-duty time with friends riding motorcycles, traveling to Vermont and South Carolina," wrote Chief Custer. "He leaves behind his mother, sister, girlfriend and countless friends." Over his two-decade career, Mainieri received his department's Medal of Valor, the Chief's Award and multiple certificates of commendation.